If you have a sister-in-law as awesome as mine, she gives you a Petzel headlamp for your birthday. Since I just recently got my first road bike, I don't quite have all the usual accessories. 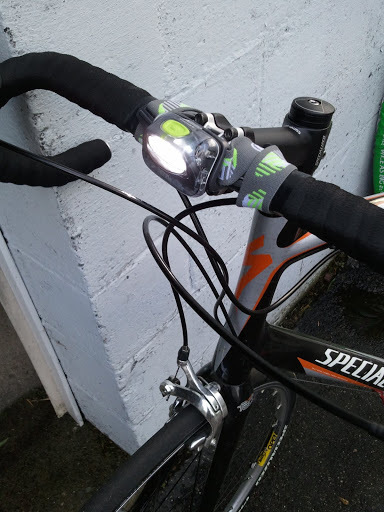 So what to do when I need a headlamp for riding near dusk? Improvise! 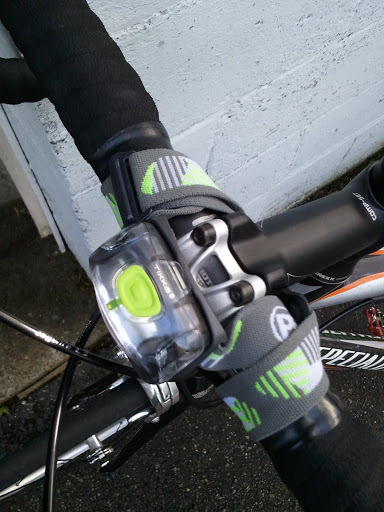 The headband on the Petzel lamp comes apart, which allows me to wrap it around the handlebars and stem. It points almost perfectly forward, but the lamp is also adjustable to point down. It also has high, low and a blink mode for when I'm primarily concerned with making myself visible to vehicle traffic. 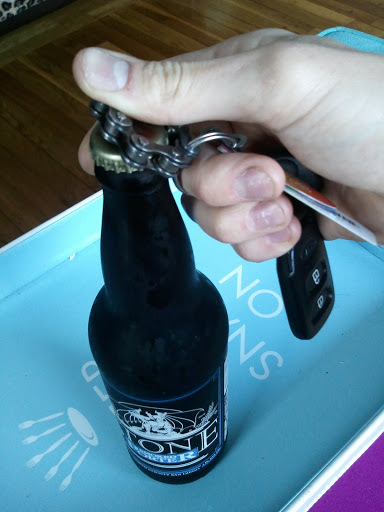 Another clever bike hack is my bike chain keychain that doubles as a bottle opener. 'nuff said. For more handy tricks, read the bike hacks blog. They're awesome. Cache debugging: Page was rendered Apr 21, 05:14:17.